This story is actually a few weeks old. I had saved it then forgot where I saved it. 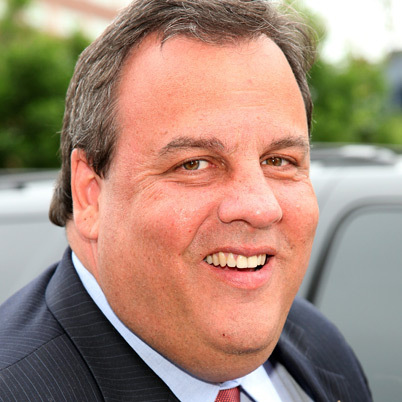 Even though I don’t live in New Jersey anymore I’m actually a fan of Governor Chris Christie. I like his no-nonsense style and his willingness to reach across political boundaries for the people of New Jersey. While he would not be my first choice if he ran for president I might be inclined to vote for him. However with his endorsement of the new Camden, New Jersey police force he’s lost a little credibility in my eyes. As I’ve posted before Camden disbanded its police force and replaced with the Camden County Police. That name is somewhat of a misnomer. The Camden County police are only patrolling Camden itself. None of the other communities in Camden County use this police force yet the taxpayers of Camden County are paying for this police force. But it’s not just the county that is footing the bill for this new police force, it’s the entire state. According to the article I linked to at the Philadelphia Inquirer the state gives Camden $102M of the city’s $150M budget. As I’ve also mentioned before less than half of Camden’s properties are tax paying properties. So the taxpayers of New Jersey are keeping the disaster on the Delaware afloat. There is only one thing that could save Camden and I have to attribute my brother for pointing this out to me. In most crime filled hellholes (Philly, Chicago, New Orleans, Detroit, Houston, etc.) they have at least one ‘nice’ neighborhood (ie, rich). The only way for Camden to be self-sustaining again is to bring in businesses and people with money. Unfortunately you can’t get the people with the money to move in to a city that is constantly ranked in the top 3 of most dangerous cities in the country. Sort of a chicken and egg type of problem. I think the state needs to look into why these properties are not taxpaying properties and what it would take to correct that. Then if it can’t be corrected the properties need to be razed.